Written by David A. Kirby, Lecturer in Science Communication Studies at the Centre for History of Science, Technology and Medicine at the University of Manchester, England, Lab Coats offers a surprising, detailed analysis of the symbiotic—if sometimes contentious—partnership between filmmakers and scientists. This includes the wide-ranging services science advisors can be asked to provide to members of a film’s production staff, how these ideas are subsequently incorporated into the film, and why the depiction of scientists in film carries such enormous real-world consequences. Thorough, detailed, and honest, Lab Coats in Hollywood is an exhaustive tome of the history of scientists’ impact on cinema and storytelling. It’s also an essential and realistic road map of the challenges that scientists, engineers and other technical advisors might face as they seriously pursue science advising to the film industry as a career. The essential questions that Lab Coats in Hollywood addresses are these—is it worth it to hire a science advisor for a movie production? Is it worth it for the scientist to be an advisor? The book’s purposefully vague conclusion is that it depends solely on how the scientist can film’s storyline and visual effects. Kirby wisely writes with an objective tone here because the topic is open to a considerable amount of debate among the scientists and filmmakers profiled in the book. Sometimes a scientist is so key to a film’s development, he or she becomes an indispensible part of the day-to-day production. A good example of this is Jack Horner, paleontologist at the Museum of the Rockies in Bozeman, MT, and technical science advisor to Steven Spielberg in Jurassic Park and both of its sequels. Horner, who drew from his own research on the link between dinosaurs and birds for a more realistic depiction of the film’s contentious science, helped filmmakers construct visuals, write dialogue, character reactions, animal behaviors, and map out entire scenes. J. Marvin Herndon, a geophysicist at the Transdyne Corporation, approached the director of the disaster film The Core when he learned the plot was going to be based on his controversial hypothesis about a giant uranium ball in the center of the Earth. Herndon’s ideas were fully incorporated into the film’s plot, while Herndon rode the wave of publicity from the film to publish his research in a PNAS paper. The gold standard of science input, however, were Stanley Kubrik’s multiple science and engineering advisors for 2001: A Space Odyssey, discussed in much further detail below. Armageddon did phenomenally well at the box office despite not relying on the advice of their science advisor. 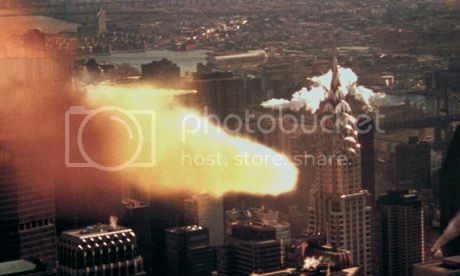 Pictured here is a meteorite falling on New York City in the film, largely panned as not very realistic, scientifically. Kirby hypothesizes that sometimes, a film’s poor reception might have been avoided with a science advisor. He provides the example of the Arnold Schwarzenegger futuristic sci-fi bomb The Sixth Day, which contained a ludicrously implausible use of human cloning in its main plot. While the film may have been destined for failure, Kirby posits that it only could have benefited from proper script vetting by a scientist. By contrast, the 1998 action adventure thriller Armageddon came under heavy expert criticism for its basic assertion that an asteroid “the size of Texas” could go undetected until eighteen days before impact. Director Michael Bay patently refused to take the advice of his advisor, NASA researcher Ivan Bakey, and admitted he was sacrificing science for plot, but Armageddon went on to be a huge box office hit regardless. Quite often, the presence of a science advisor is helpful, albeit unnecessary. One of the book’s more amusing anecdotes is about Dustin Hoffman’s hyper-obsessive shadowing of a scientist for the making of the pandemic thriller Outbreak (great guide to the movie’s science can be found here). Hoffman was preparing to play a virologist and wanted to infuse realism in all of his character’s reactions. Hoffman kept asking the scientist to document reactions in mundane situations that we all encounter—a traffic jam, for example—only to come to the shocking conclusion that the scientist was a real person just like everyone else. Most of the time, including scientists in the filmmaking process is at the discretion of the studios because of the one immutable decree reiterated throughout the book: the story is king. When a writer, producer or director hires a science consultant, their expertise is utilized solely to facilitate, improve or augment story elements for the purposes of entertaining the audience. Because of this, one of the most difficult adjustments a science consultant may face is a secondary status on-set even though they may be a superstar in their own field. Some of the other less glamorous aspects of film consulting include heavy negotiations with unionized writers for script or storyline changes, long working hours, a delicate balance between side consulting work and a day job, and most importantly, an inconsistent (sometimes nonexistent) payment structure per project. I was notably thrilled to see Kirby mention the pros and cons of programs such as the National Science Foundation’s Creative Science Studio (a collaboration with USC’s school of the Cinematic Arts) and the National Academy of Science’s Science and Entertainment Exchange, which both provide on-demand scientific expertise to the Hollywood filmmaking community in the hope of increasing and promoting the realism of scientific portrayal in film. While valuable commodities to science communication, both programs have had the unfortunate effect of acclimating Hollywood studios to expect high-level scientific consulting for free. A still from a scene in the spacecraft of 2001: A Space Odyssey. Stanley Kubrik painstakingly designed each element of the technology and aeronautical science in the movie, and depended on a slew of science advisors to do so. 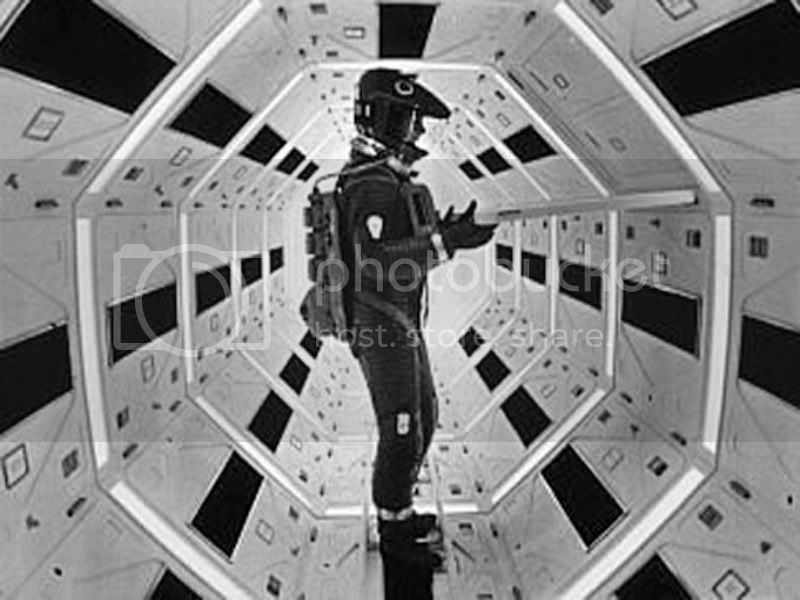 1968’s 2001: A Space Odyssey is widely considered by popular consensus to be the greatest sci-fi movie ever made, and certainly the most influential. As such, Kirby devotes an entire chapter to detailing the film’s production and integration of science. Director Stanley Kubrik took painstaking detail in scientific accuracy to explore complex ideas about the relationship between humanity and technology, hiring a range of advisors from anthropologists, aeronautical engineers, statisticians, and nuclear physicists for various stages of production. Statistician I. J. Good provided advice on supercomputers, aerospace Harry Lange provided production design, while NASA space scientist Frederick Ordway lent over three years of his time to develop the space technology used in the film. In doing so, Kubrik’s staff consulted with over sixty-five different private companies, government agencies, university groups and research institutions. So real was the space technology in 2001 that moon landing hoax supporters have claimed the real moon landing by United States astronauts, taking place in 1969, was taped on the same sets. Not every science-based film has used science input as meticulously or thoroughly since, but Kubrik’s influence on the film industry’s fascination with science and technology has been an undeniable legacy. As the director of a creative scientific consulting company based in Los Angeles, one of the biggest questions I get asked on a regular basis is “What does a science advisor do, exactly?” Lab Coats in Hollywood does an excellent job of recounting stories and case studies of high-profile scientist consultants, all of whom contributed their creative talents to their respective films in different ways, what might be expected (and not expected) of scientists on set, and of giving different areas of expertise that are currently in demand in Hollywood. Kirby breaks down cinematic fact checking, the most frequent task scientists are hired to perform, into three areas within textbook science (known, proven facts that cannot be disputed, such as gravity): public science, something we all know and would think was ridiculous if filmmakers got wrong, expert science, facts that are known to specialists and scientific experts outside of the lay audience, and (most problematic) folk science, incorrect science that has nevertheless been accepted as true by the public. Filmmakers are most likely to alter or modify facts that they perceive as expert science to minimize repercussions at the box office. 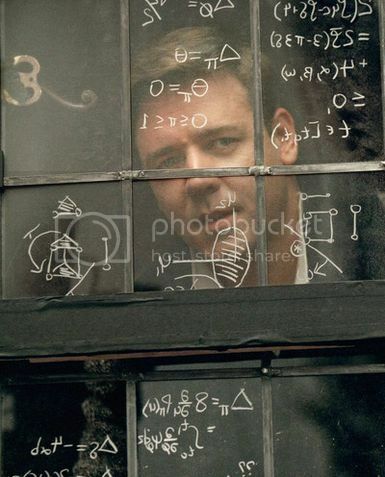 A lot of the math seen in the film A Beautiful Mind was drawn by actual mathematicians to preserve authenticity. A science advisor is constantly navigating cinematic storytelling constraints and a filmmaker’s desire to utilize only the most visually appealing and interesting aspects of science (regardless of whether the context is always academically appropriate). Another broad area of high demand is in helping actors look and act like a real scientist on screen. Scientists have been hired to do everything from doctoring dialogue to add realism into an actor’s portrayal (the movie Contact and Jodie Foster’s depiction of Dr. Ellie Arroway is a good example of this), training actors in using equipment and pronouncing foreign-sounding jargon, replicating laboratory notebooks or chalkboard scribbles with the symbols and shorthand of science (such as in the mathematics film A Beautiful Mind), and to recreate the physical space of an authentic laboratory. Finally, the scientist’s expertise of the known is used to help construct plausible scenarios and storylines for the speculative, an area that requires the greatest degree of flexibility and compromise from the science advisor. Uncertainty, unexplored research and “what if” scenarios, the bane of every scientist’s existence, happen to be Hollywood’s favorite scenarios, because they allow the greatest creative freedom in storytelling and speculative conceptualization without being negated by a proven scientific impossibility. An entire chapter—the book’s finest—is devoted to two case studies, Deep Impact and The Hulk, where real science concepts (near-Earth asteroid impacts and genetic engineering, respectively) were researched and integrated into the stories that unfolded in the films. (Side note: if you are ever planning on being a science advisor read this section of the book very carefully). In years past, consulting in films didn’t necessarily bring acclaim to scientists within their own research communities; indeed, Lab Coats recounts many instances where scientists were viewed as betraying science or undermining its seriousness with Hollywood frivolity, including many popular media figures such as Carl Sagan and Paul Ehrlich. Recently, however, consultants have come to be viewed as publicity investments both by studios that hire high-profile researchers for recognition value of their film’s science content and by institutes that benefit from branding and exposure. Science films from the last 10-15 years such as GATTACA, Outbreak, Armageddon, Contact, The Day After Tomorrow and a panoply of space-related flicks have attached big-name scientists as consultants (gene therapy pioneer French Anderson, epidemiologist David Morens, NASA director Ivan Bekey, SETI institute astronomers Seth Shostak and Jill Tartar and climatologist Michael Molitor, respectively). They also happened to revolve around the research salient to our modern era: genetic bioengineering, global infectious diseases, near-earth objects, global warming and (as always) exploring deep space. As such, a mutually beneficial marketing relationship has emerged between science advisors and studios that transcends the film itself resulting in funding and visibility to individual scientists, their research, and even institutes and research centers. The National Severe Storms Laboratory (NSSL) promoted themselves in two recent films, Twister and Dante’s Peak, using the films as a vehicle to promote their scientific work, to brand themselves as heroes underfunded by the government, and to temper public expectations about storm predictions. No institute has had a deeper relationship with Hollywood than NASA, extending back to the Star Trek television series, with intricate involvement and prominent logo display in the films Apollo 13, Armageddon, Mission to Mars, and Space Cowboys. Some critics have argued that this relationship played an integral role in helping NASA maintain a positive public profile after the devastating 1986 Challenger space shuttle disaster. The end result of the aforementioned promotion via cinematic integration can only benefit scientific innovation and public support. 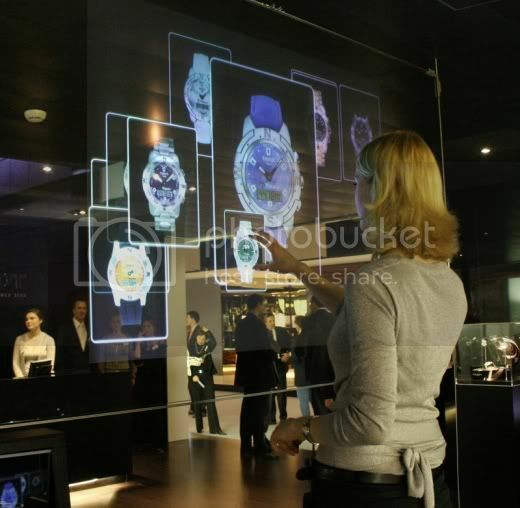 Futuristic touch screens shown in 2002's Minority Report have become standard in technology such as phones, tablet computers and other security devices. Accurate and favorable portrayal of science content in modern cinema has an even bigger beneficiary than specific research institutes, and that is society itself. Fictional technology portrayed in film – termed a “diegetic prototype” – has often inspired or led directly to real-world application and development. Kirby offers the most impactful case of diegetic prototyping as the 1981 film Threshold, which portrayed the first successful implantation of a permanent artificial heart, a medical marvel that became reality only a year later. Robert Jarvik, inventor of the Jarvik-7 artificial heart used in the transplant, was also a key medical advisor for Threshold, and felt that his participation in the film could both facilitate technological realism and by doing so, help ease public fears about what was then considered a freak surgery, even engendering a ban in Great Britain. Of the many obstacles that expensive, ambitious, large-scale research faces, Kirby argues that skepticism or lack of enthusiasm from the public can be the most difficult to overcome, precisely because it feeds directly into essential political support that makes funding possible. A later example of film as an avenue for promotion of futuristic technology is Minority Report, set in the year 2054, and featuring realistic gestural interfacing technology and visual analytics software used to predict crime before it actually happens. Less than a decade later, technology and gadgets featured in the film have come to fruition in the form of multi-touch interfaces like the iPad and retina scanners, with others in development including insect robots (mimics of the film’s spider robots), facial recognition advertising billboards, crime prediction software and electronic paper. A much more recent example not featured in the book is the 2011 film Limitless, featuring a writer that is able to stimulate and access 100% of his brain at will by taking a nootropic drug. While the fictitious drug portrayed in the film is not yet a neurochemical reality, brain enhancement is a rising field of biomedical research, and may one day indeed yield a brain-boosting pill. No other scientific feat has been a bigger beneficiary of diegetic prototyping than space travel, starting with 1929’s prophetic masterpiece Frau im Mond [Woman in the Moon], sponsored by the German Rocket Society and advised masterfully by Hermann Oberth, a pioneering German rocket research scientist. The first film to ever present the basics of rocket travel in cinema, and credited with the now-standard countdown to zero before launch in real life, Frau im Mond also featured a prototype of the liquid-fuel rocket and inspired a generation of physicists to contribute to the eventual realization of space travel. Destination Moon, a 1950 American sci-fi film about a privately financed trip to the Moon, was the first film produced in the United States to deal realistically with the prospect of space travel by utilizing the technical and screenplay input of notable science fiction author Robert A. Heinlein. Released seven years before the start of the USSR Sputnik program, Destination Moon set off a wave of iconic space films and television shows such as When Worlds Collide, Red Planet Mars, Conquest of Space and Star Trek in the midst of the 1950s and 1960s Cold War “space race” between the United States and Russia. What theoretical scientific feat will propel the next diegetic prototype? A mission to Mars? Space colonization? Anti-aging research? Advanced stem cell research? Time will only tell. 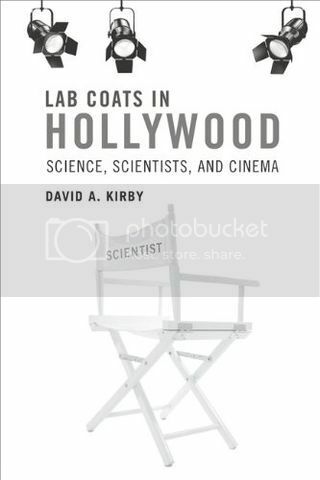 Ultimately, readers will enjoy Lab Coats in Hollywood for its engaging writing style, detailed exploration of the history of science in film and most of all, valuable advice from fellow scientists who transitioned from the lab to consulting on a movie set. Whether you are a sci-fi film buff or a research scientist aspiring to be a Hollywood consultant, you will find some aspect of this book fascinating. Especially given the rapid proliferation of science and technology content in movies (even those outside of the traditional sci-fi genre), and the input from the scientific community that it will surely necessitate, knowing the benefits and pitfalls of this increasingly in-demand career choice is as important as its significance in ensuring accurate portrayal of scientists to the general public. ScriptPhD.com covers science and technology in entertainment, media and advertising. Hire our consulting company for creative content development. Subscribe to free email notifications of new posts on our home page. Hi James! Yes, feel free to use the image. Thanks for checking in. We appreciate it!